All your spells, items and monsters at hand without Internet or heavy books! Includes all classes, feats, items, spells and monsters from the Open Game License content for the version of D&D or the Pathfinder Roleplaying Game. 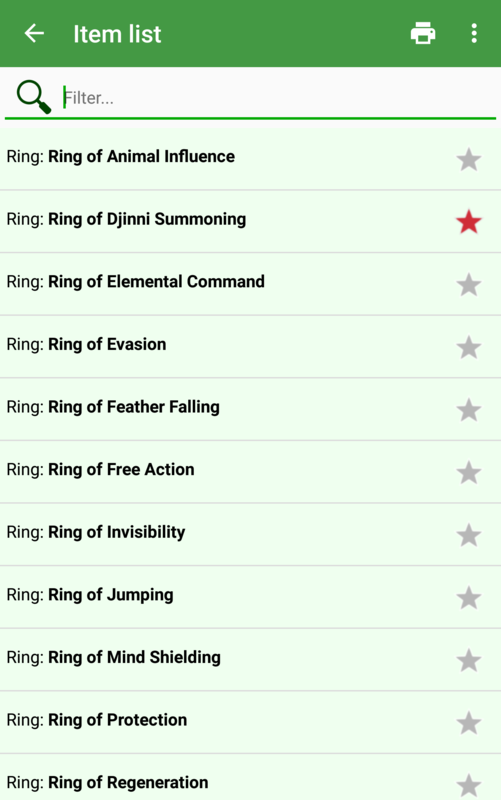 Bookmark items, spells, monsters and more to quickly access your favourite items. Internet is not needed to use this application! The ultimate companion for every D&D or the Pathfinder Roleplaying Game player and Dungeon Master! 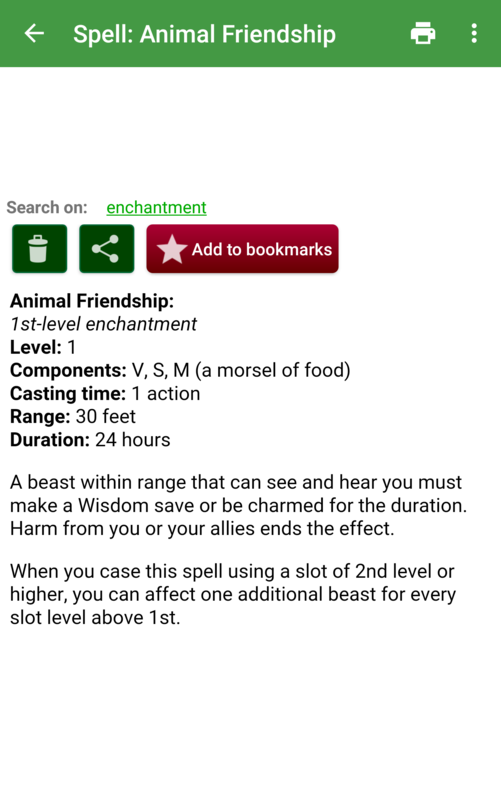 All your spells, items and monsters at hand without Internet or heavy books! 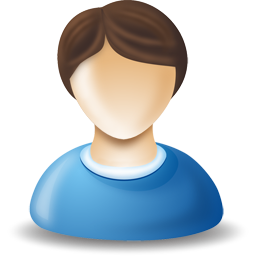 You can add your own content using the Content Creator and share on our forum. 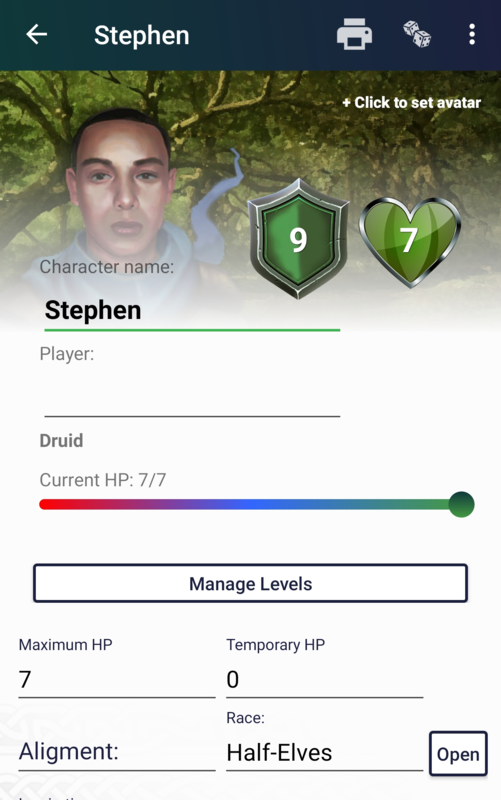 With the character manager inside the app you can manage your character sheets, import character sheets from other players and export your own characters. It was never so simple to manage your character! With the help of the rich database behind the app all the information you need is in your hand. 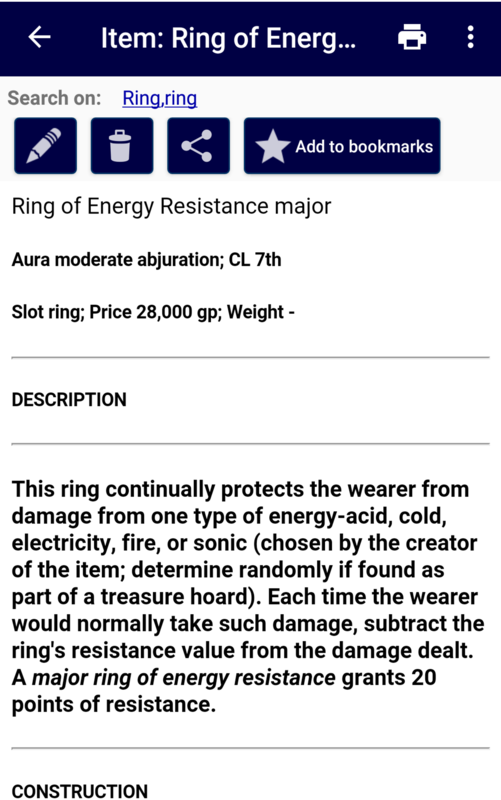 With the DM tools section in the app you can prepare encounters, generate loot and more while being the Dungeon Master. The application works on tablets and phones and even Android smartwatches. When you use the application on your tablet you will see the list views on the left and the details on the right of your screen. Browsing the D&D or the Pathfinder Roleplaying Game content was never that easy! The app for every D&D or the Pathfinder Roleplaying Game player and DM! 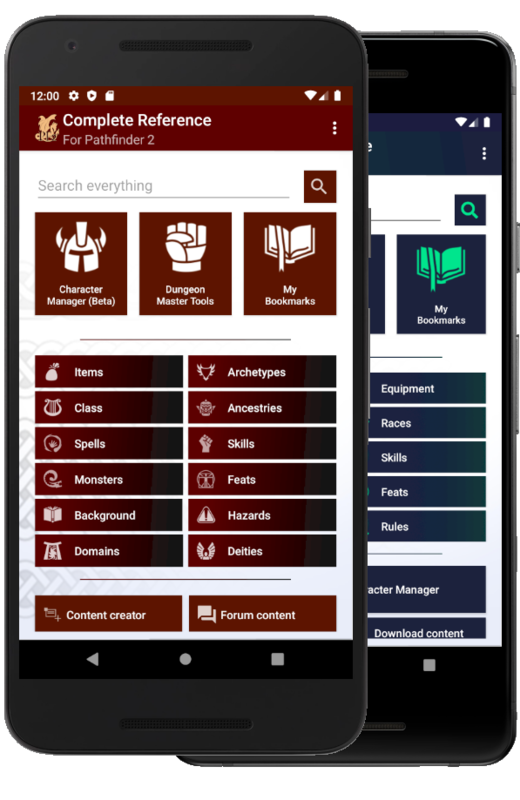 Play your D&D 3.5, 5e or the Pathfinder Roleplaying Game session without the need to carry any book or have an active internet connection on your phone, all you need is the Complete reference app! Tons of features and easy to use! Fantastic! This app has all the content you need out of the books in an intuitive, fast design. 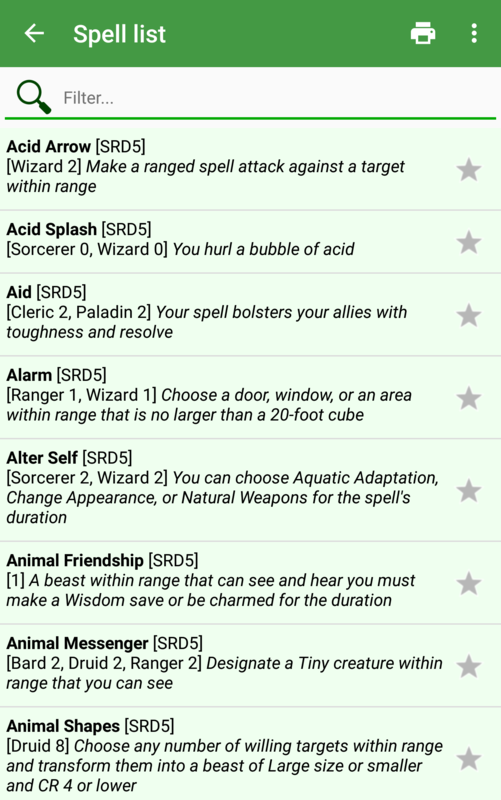 If you are a newcomer that doesnt know what initiative is or a seasoned player who never took the time to memorize pages of tables and spells, you need this app. I never rate apps. I rated this one. This is important. Great app! 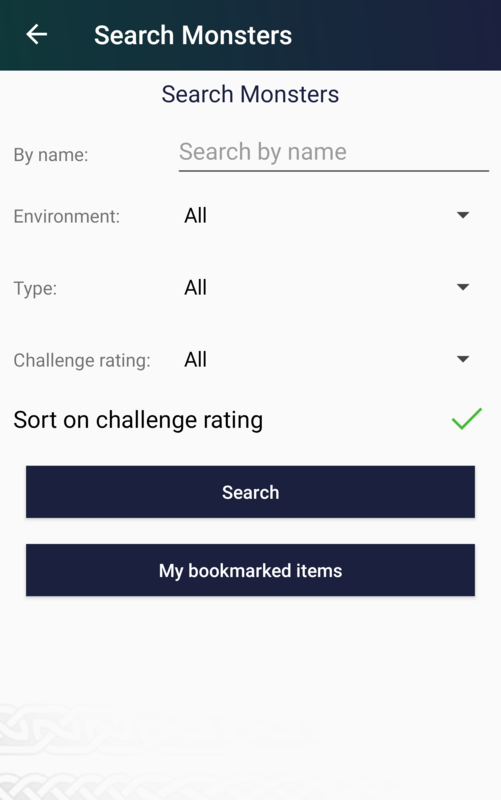 Eliminates costly heavy books and replaces with quick searches even as free app, character and DM additions were cheap to purchase and the forums are a great resource. Great app Easy to use, straight forward resource guide, a lot of info in one place. 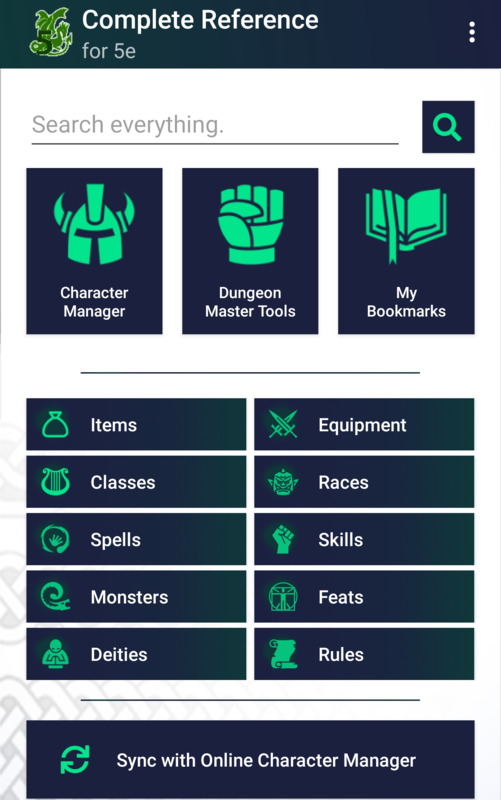 Irreplacable app to have when you have no internet connection whilst playin dnd! Search engine needs a little work in the creature department - say alignment dropbox, but.. Great work people! Keep it up! 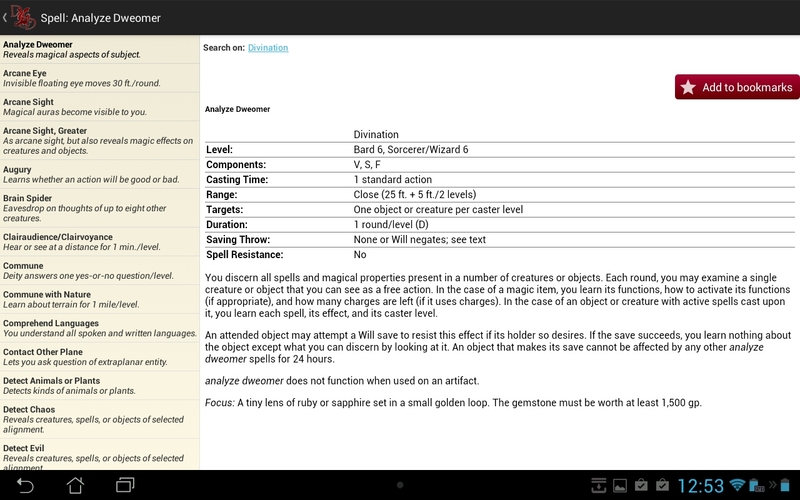 With the Complete Reference app your D&D or Pathfinder Roleplaying Game sessions will never be the same again! 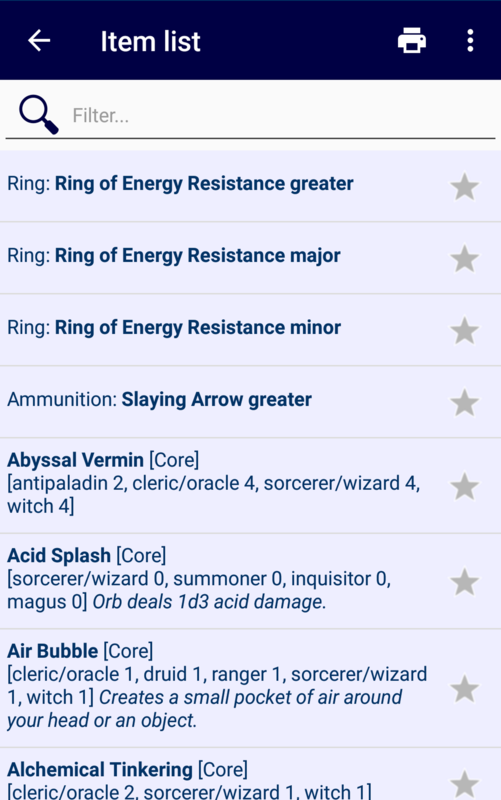 All your favorite items and spells in just two clicks by bookmarking them. Ideal when you are playing in a Dungeons and Dragons session and need to lookup a specific monster or spell. 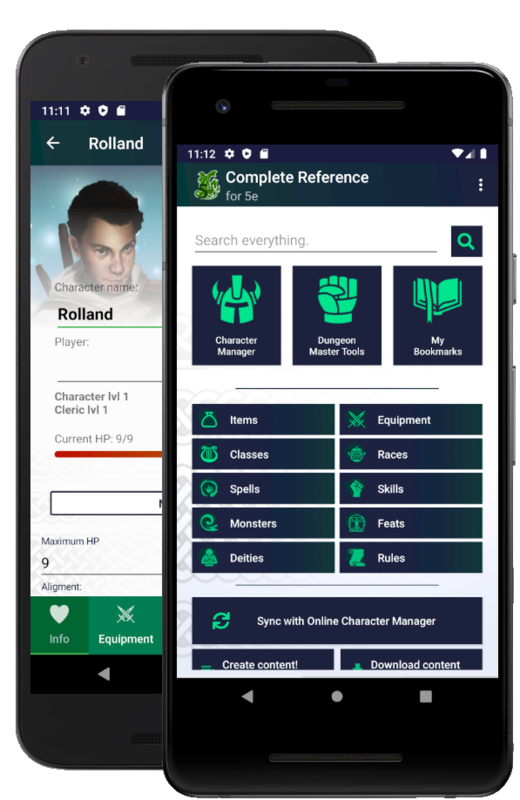 Manage your party or your own character with the handy Character manager. Unlimited characters with their spells, items, feats and other statistics. You can share your character by simply exporting the character to a file and import it on your other devices. 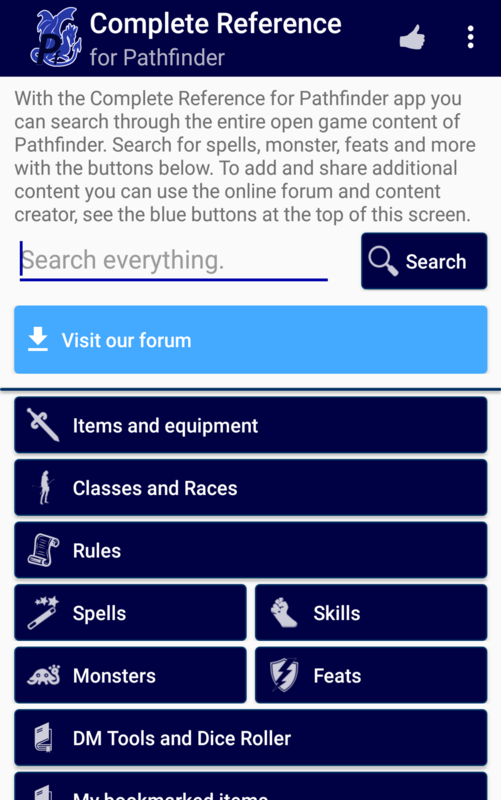 Create and share custom content files at our forum, download big lists of spells, races and more content for your app! You can also create your own content in the DM tools section. Check out some of the screenshots!